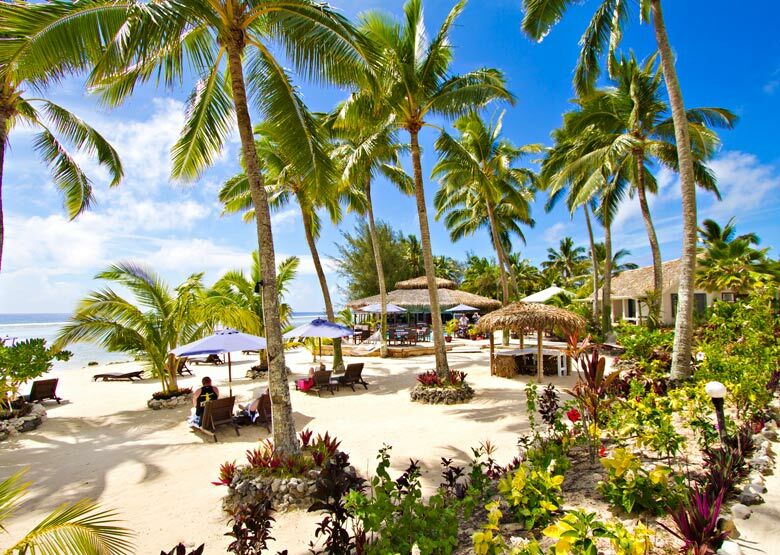 With magical sunsets over the sparkling blue lagoon and white sand beach, Manuia Beach Resort offers guests a tranquil and romantic getaway. 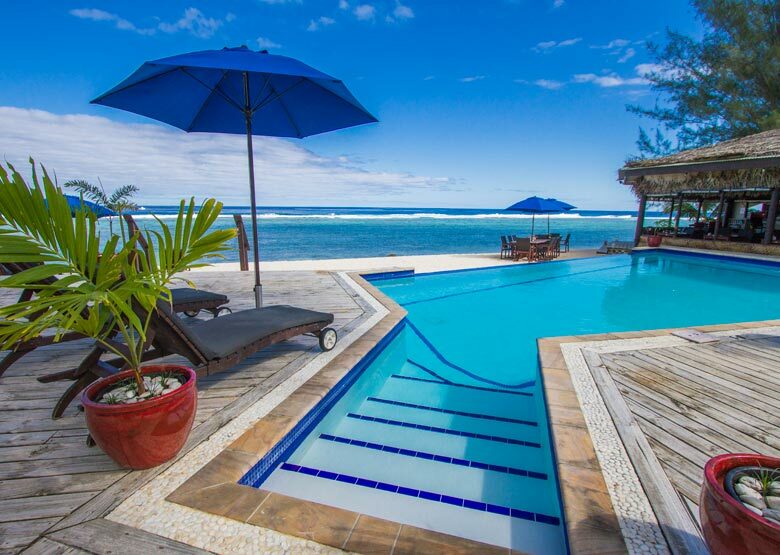 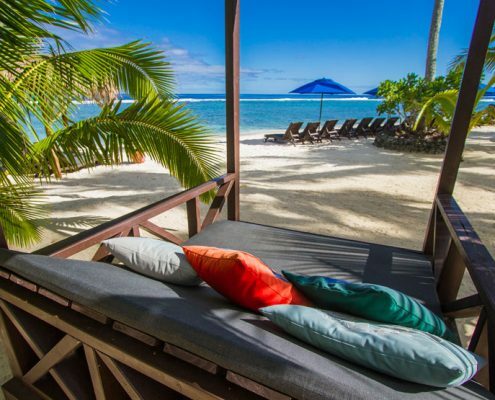 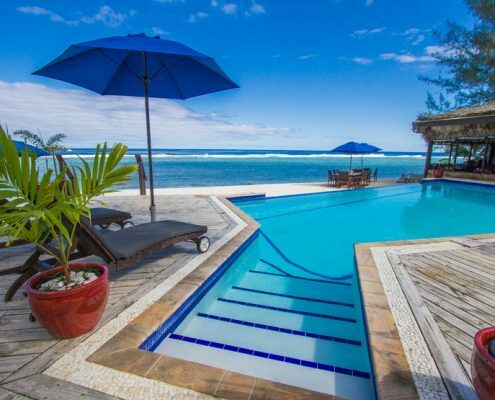 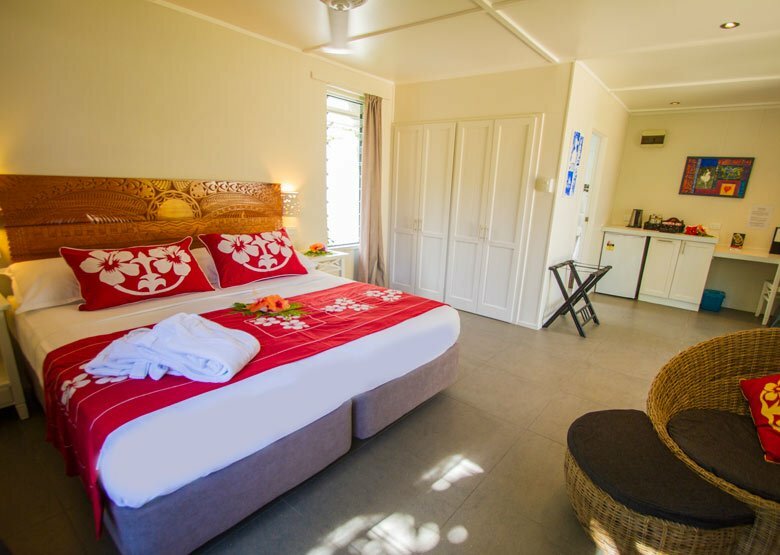 Located on the sheltered sunset coast of Rarotonga just 10 minutes from the airport and 15 minutes to downtown Avarua, the hotel is set right on the beach overlooking the lagoon with the lush mountains as a backdrop. 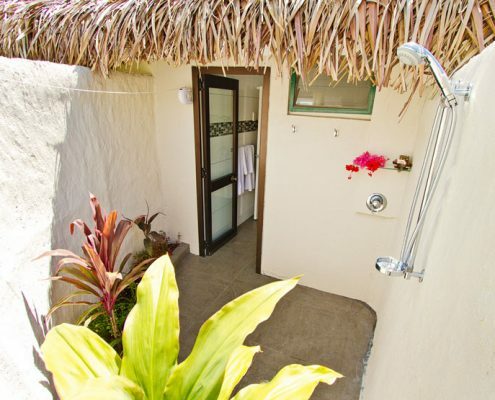 Sand paths separate 24 Polynesian-style duplex rooms. 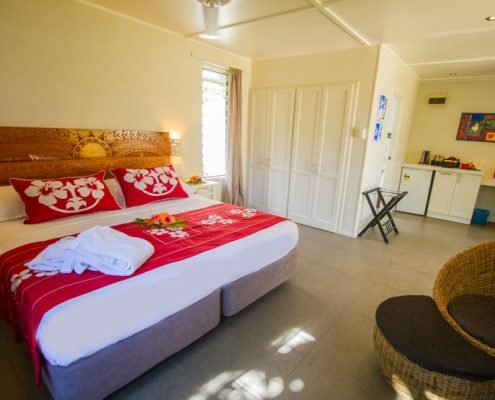 All rooms present a bright and spacious décor and feature many modern amenities including air-conditioning and daily maid service. 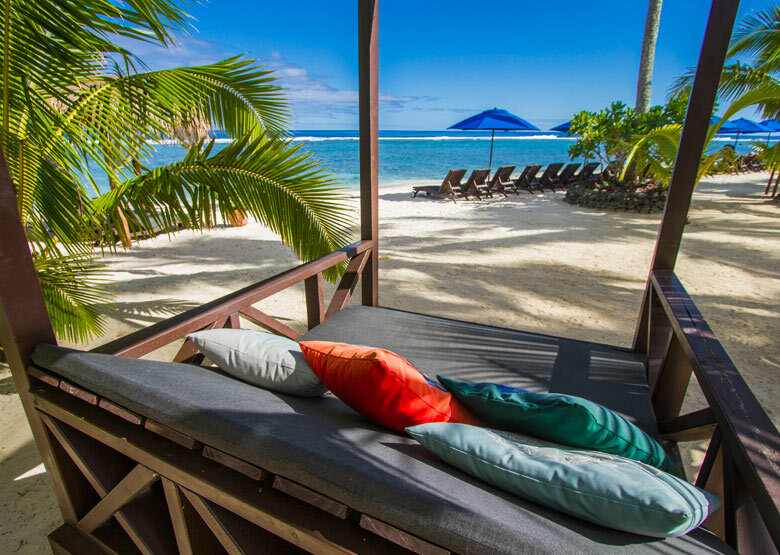 Beachfront Rooms are located just a few steps from the beach and offer stunning views of the lagoon and Pacific Ocean beyond. 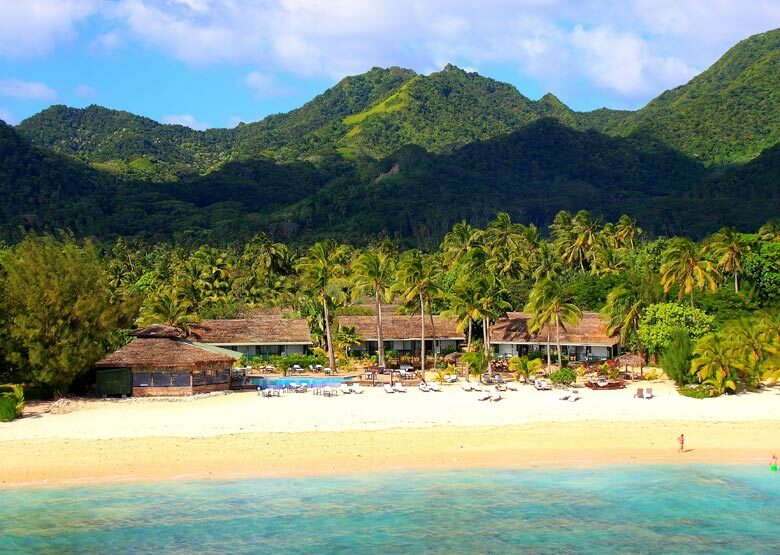 Overlooking the fresh water pool, the sand floor “Right on the Beach” Restaurant serves a delectable mix of South Pacific cuisine in a thatched hut setting. 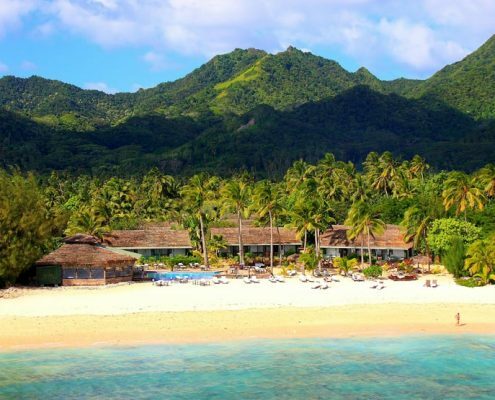 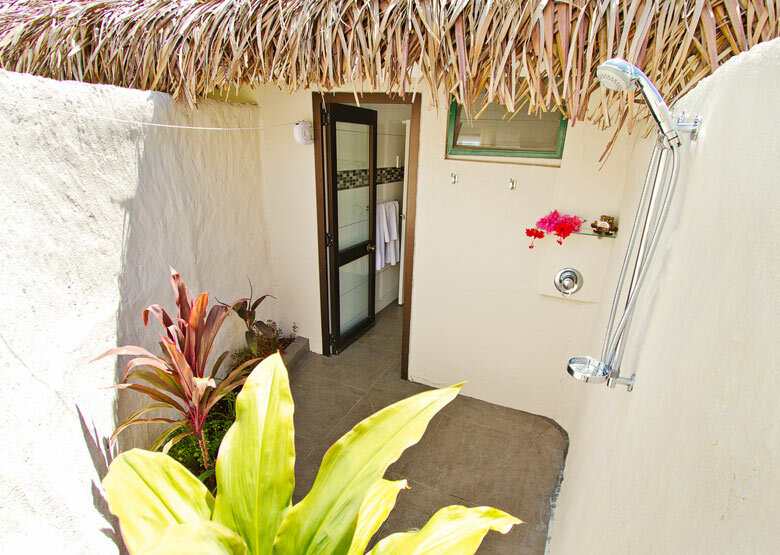 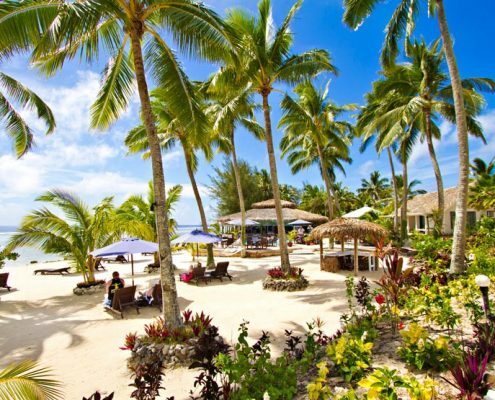 Manuia Beach Resort offers guests an intimate and romantic atmosphere with caring staff.